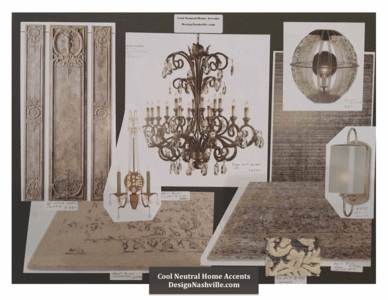 This design board was featured in DesignNashville's award winning display at the Nashville Home Decorating and Remodeling Show at the Music City Center. Each item shown is for sale. Email Design Nashville for FREE design assistance relating to any of our merchandise to help you with color, placement, size, style, and coordination with existing decor.